Tongue twisters are fun for all ages. 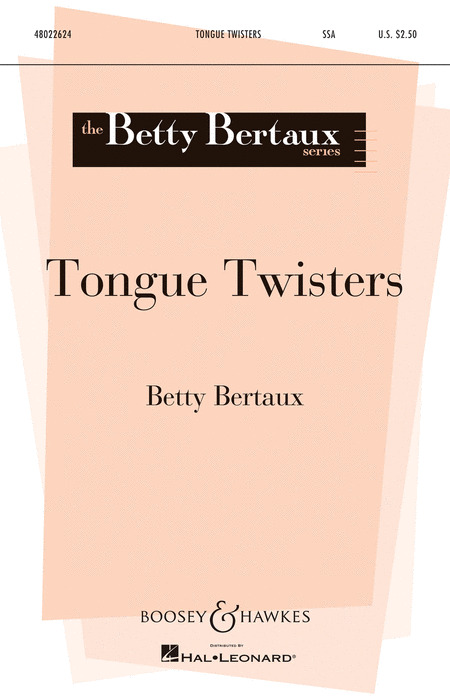 This setting of three includes: Mules an enticing tango; Betty Botter's Butter with stylistic hints of Gilbert and Sullivan, includes a canon with a mid-stream change of tonality, and finally, a quasi-recitative; Tree Toad, a good old down-home country tune. Duration: ca. 5:00.